DatBoyDimez remembers exactly what he was doing when the news broke — he was streaming on Twitch. His chat feed was going crazy with viewers sharing their excitement. Could it finally be happening? Dimez had to take to Twitter to confirm for himself. Sure enough, not only was the news true, it was a dream come true. The National Basketball Association (NBA) in partnership with Take-Two Interactive on February 9, 2017, announced the creation of an NBA 2K League; the first official esports league operated by a U.S. pro sports league. Dimez, a Cleveland-based pro gamer, is touted as the No. 1 prospect ahead of the inaugural NBA 2K League Draft, scheduled to take place April 4 in New York City. Mavs Gaming, backed by the Dallas Mavericks, won the first NBA 2K League Draft Lottery and the No. 1 overall selection. Each of the 17 participating teams will draft six players to form their respective rosters for the league’s debut season, which will begin play in May. Getting to this point hasn’t always been easy for Dimez, a point guard for Breakout Gaming’s top-ranked NBA 2K18 Pro-Am squad. He was constantly told by his parents to put down the controller and get a real job, but he remained confident his hours of gameplay would pay off. 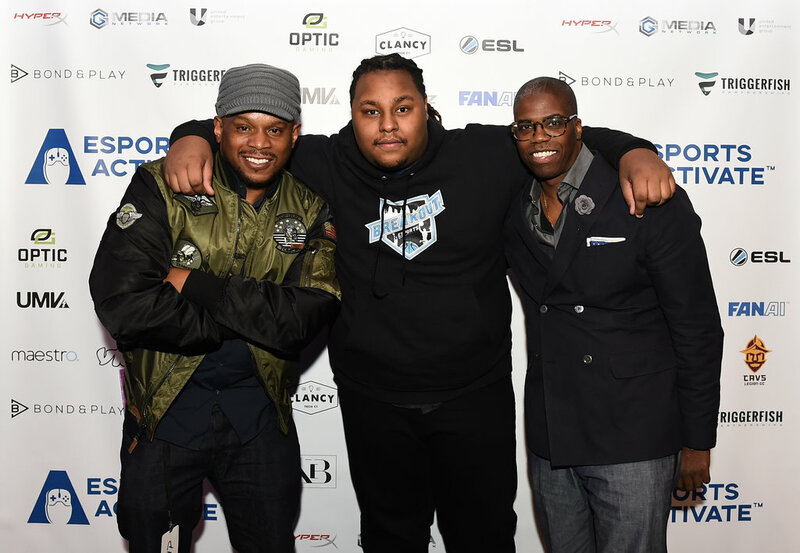 Dimez said it wasn’t really until he helped lead Still Trill to the 2017 NBA 2K All-Star Weekend Tournament Championship and $250,000 grand prize that solidified his career as a pro gamer, at least in his parents’ eyes. To put Dimez’s success in context, NBA 2K is the highest-rated and highest-selling sports title of the current console generation among U.S. sports leagues. NBA 2K17 sold approximately nine million copies worldwide, while NBA 2K18 is on pace to be the best-selling edition in franchise history. There were 72,000 players who participated in the NBA 2K League Combine in an effort to be in the select field of 102 draft-eligible players. Dimez continues his quest to be the top NBA 2K player as well as help promote and grow esports. “To the parents and also the children, there is (now) something you can do,” he said. “There is a greater good. You can play and compete at the highest level and you can turn it into a career — you can be a professional gamer. The annual FDNY Firefighters Ski Race takes place in upstate New York, with proceeds benefitting the New York Firefighters Burn Center Foundation for the past 25 years. Byamba has been part of more than 800 live sumo events in more than 30 countries across the world.